Do North Koreans have DVD players? 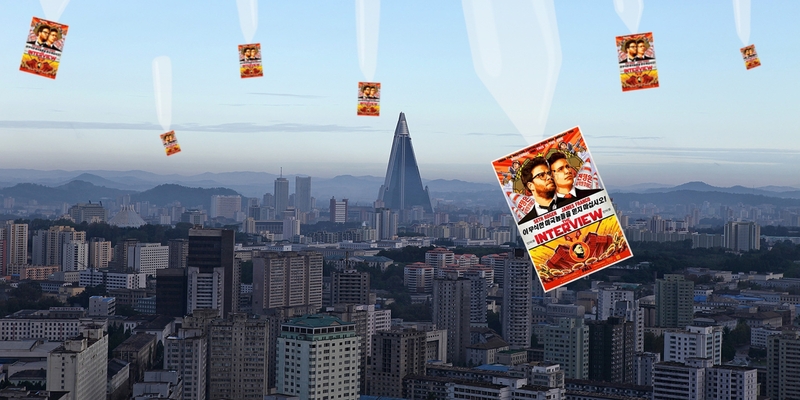 In the latest surreal twist to the ongoing saga of the unprecedented Sony hack, human rights activists are planning to airdrop copies of the upcoming film The Interview into North Korea. Since hackers operating under the name Guardians of Peace (GOP) hit Sony Pictures Entertainment’s computer systems with a devastating attack three weeks ago, North Korea has become the focus of media and researcher entertainment. Though the authoritarian state has denied having any involvement in the attack, it had previously expressed outrage over The Interview—which depicts a fictional assassination attempt of leader Kim Jong Un—and praised the actions of the anonymous hackers. The hackers themselves have demanded that the film be cancelled, and have gone so far as to issue terror threats if Sony does not comply—though early emails apparently from the group make no mention of the film, leading some to speculate that GOP is running with the North Korean idea for maximum impact. Either way, The Interview has seen vast publicity as a result (albeit at the expense of the privacy of tens of thousands of Sony employees), and now human rights activists intend to covertly deliver DVD copies of the film to North Koreans. The initiative is being organized by the group Fighters For a Free North Korea, which—led by a North Korean defector—uses balloons to drop radios, movies, educational documents, and counter-propaganda materials into the country, where access to information is incredibly tightly controlled.